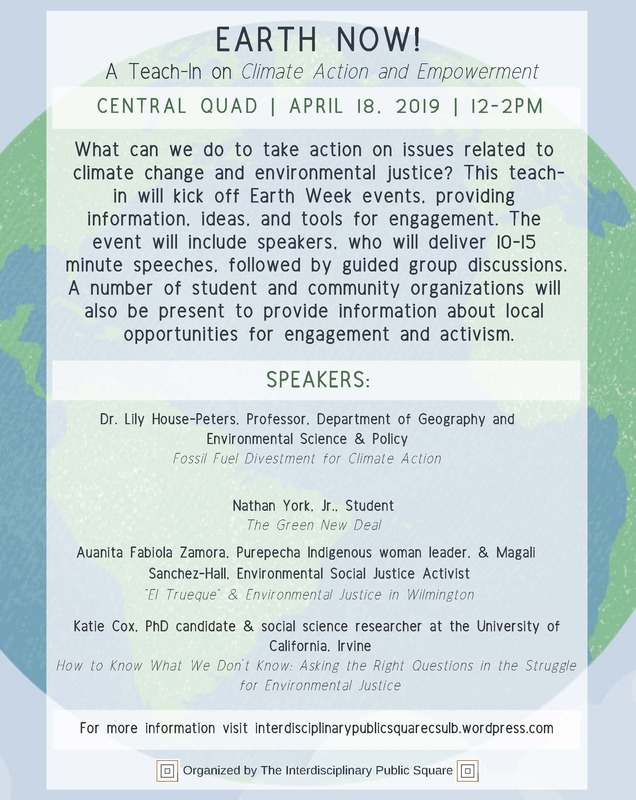 The event includes short, engaging talks by a range of speakers, including faculty, students, and community activists, followed by guided group discussions. What can we do to take action on issues related to climate change and environmental justice? 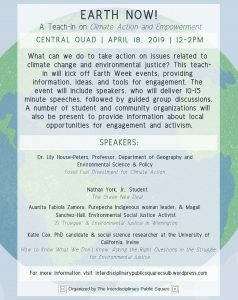 This teach-in will kickoff Earth Week events, providing information, ideas, and tools for engagement. The event will include speakers, who will deliver 10-15 minute speeches, followed by guided group discussions. A number of student and community organizations will also be present to provide information about local opportunities for engagement and activism.